Last weekend took place the Recreation of the 25th of July Deed. As every year, the city of Santa Cruz celebrates the defense of the Canary Islands made by the Spanish people. The British Army came to conquer the archipelago, and the victory was expected to be inevitable, but they ended up losing. Not even the presence of the admiral Horatio Nelson was enough to win the battle. 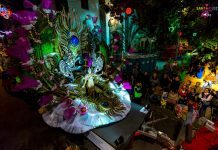 In 2017 this historic event turns none less than 220 years old, so the capital of Tenerife wanted to celebrate this recreation in a different way. The events started on Monday, the 17th of July, and will last until the 29th of this month. Apart from that, the representations of the deeds will be distributed in three days in this edition. 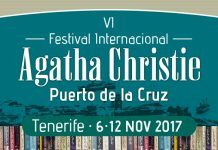 It is all an attempt to defend the History of Tenerife, giving the fact that this is one of the most relevant happenings that the island has ever lived. An initiative to which StarExcursions joins with the writing of this text. “as a way to make the new generations discover what happened in Santa Cruz during the past”. The activities started with the presentation of a commemorative plaque, which was installed in the entrance arch of the Marine Alameda. This was because the building turns 220 years old in 2017. Likewise, the Royal Casino not only hosted the presentation act, but also the photographic exposition “The Deed, in images”, by Víctor Ezquerro. It was inaugurated on the very same day that the acts started, on Monday the 17th, and it will be open until the last day, on the 29th. “we must thank the author all the efforts made and all the time he has expended in the work of knowing better the past of our archipelago”. “it is fundamental to keep the memories of what happened and the people involved alive”. “the book tries to expose the feelings and thoughts of the people who were on the British side. This is something really important for those who want to know the History of the Canary Islands in deep”. The book itself has as its major interest the fact of exposing the events from the British point of view, apart from the fact it does not only talk about what happened on the 25th of July, but also the rest of attempts that the British made to conquer the archipelago during the 18th Century. As a remarkable fact, it is the sequel of a previous book which talks about the attack to la Gomera, by Windham. The main interest of Recreation of the 25th of July Deed is, as you might guess, the representation of the events that took place 220 years ago. The usual thing over the past years was to do it during two days. This year, however, the organizers have extended the representation to three days in total, in order to include a larger list of scenes to recreate. It all began on Friday the 21st of July, in the Valleseco ravine. This was the place in which the British landing was recreated. In this occasion, the organizers wanted to pay tribute to the women present in the area, for they were the ones who rang the warning bells. On the other hand, on Saturday the 22nd of July simulations of the everyday life were represented, as well as traditional dances from the 18th Century. The scenery were, again, the different parts of the Black Castle, one of the most important places during the British conquering attempt. Precisely, because of that, in this spot a series of battles were represented. Other activities during this day were some workshops and the shooting of weapons and cannons. The day ended with the exposition of pieces related to this event. The very same day took place the most interesting activity: the British landing in which Nelson lost his arm because of a cannonball, as well as the battles that happened after the landing, which took place in the historic part of the city. At 21:30 started this recreation, in which was included, as usual, the British conquer of the Santo Domingo convent. This was the building where the army hid from the Spanish militia, before the final surrender. On Sunday the 23rd of July the activities started at noon, moment when the surrender of the British army was recreated, as well as the moment when they went back to their ships. All of this happened in Candelaria square and in España square. One hour later, at 13:00, took place the act in which the anchor from Nelson’s boat (The Theseus) was relocated. This object was placed in a mains street of Santa Cruz Called La Rambla. The Sunday acts finished with a concert, given by the Municipality Band of Santa Cruz, and it took place in Guimerá Theater at 19:30. The musical repertoire, as expected, was directly related to all the historic events recreated during the previous three days. The most important activities of the Recreation of the 25th of July Deed have already taken place, but there are still many other events left. This very Monday, the 24th of July will take place a reading workshop for youngsters. The initiative “Tiger 1791-2017” (in honor of the Tiger Cannon, which is told to be the one who made Nelson lose his arm) will be developed in the Municipality Central Library of Tenerife Espacio de las Artes (TEA), between 16:30 and 19:30. The event will be about the attempts of Nelson to conquer the Canary Islands. It has been organized by the Autonomic Organisation of Culture and the Council of Santa Cruz. The target of this act are children from 6 to 12 years old. “The illustrator Carlos Miranda will offer the assistants the chance to know more about the 25th of July Deed, through many activities related to drawing. Perception games will also be present for the youngest, in order to provide them more knowledge about the history and customs of Santa Cruz during the 18th Century”. On Tuesday the 25th of July will take place the traditional procession of the Apostle Santiago, the patron saint of Santa Cruz. The event will start at 19:30, from the La Concepción church. The acts of this festivity will come to an end on Saturday the 29th of July, with the theatrical play “The Oath from the 29th of July 1797”. 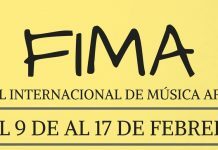 The play is directed by Gerardo Fuentes and will start at 20:00 in a place called “Círculo de la Amistad XII de Enero”. And the last of all the activities will happen just after the play is over, the moment when the assistants will be able to join to a cheese and wine tasting. These are all the activities related to the Recreation of the 25th of July Deed. 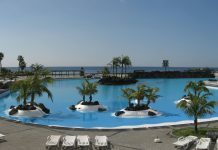 It is one of the most significant dates of the History of Tenerife, because of the impact that it had over the island, and also because of the political implications. For all these reasons, the Council of Santa Cruz put all its efforts in developing a huge celebration. For identical reasons, in StarExcursions we join to the initiative with this blog post, in order to expand the historic relevance of this date.